For starters, she was surrounded by a vast array of fresh local foods, including aquamarine tanks full of turtles and other sea life, open vats of fresh whole fish, and large barrels brimming with great varieties of rice—inventory she wouldn't expect to find on the shelves in America. Then there was the store’s location in Kunming, the modern capital city and transportation hub of China’s southern Yunnan province. The Walmart was integrated into a shopping mall, instead of a stand-alone “box” store like Walmarts on US soil. The marketing appeared to target middle-class shoppers rather than lower-income ones, because Walmart is unable to compete with prices set by locally owned discount stores in China, says Otis. But most interesting to Otis was the composition of the store’s workforce. Dozens of energetic vendors, all hawking different products, crowded the main floor. She describes the scene as reminiscent of the sample carts scattered through the aisles at Costco, except with dozens more vendors. She discovered that, unlike Costco, the sales agents were employed by different companies—none of them Walmart—to drive sales of everything from shampoo to cosmetics to holiday decorations. The firms that sell products in Walmart hire and dispatch sales workers to the store's aisles and the sales floors of other big retailers. The firms pay Walmart a nominal sum to accept their promoters. Their supervision is the responsibility of department managers—many of whom are overworked, with little time to oversee the sales agents. 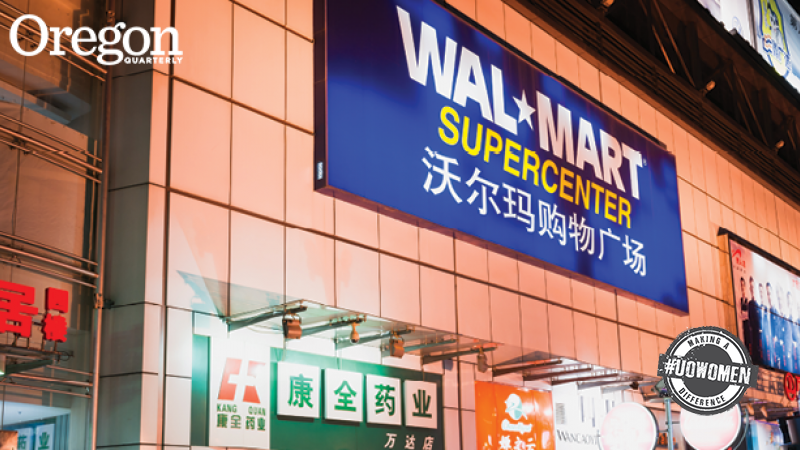 When Otis came across the situation with Walmart workers in Kunming, she was intrigued by the unusual arrangement and wanted to know more, especially given Walmart is the largest employer in the US and one of the largest in the world. In 1991, after reaching what Otis calls its “saturation point” in the US, Walmart expanded to China, where it has become a massive force. It is now that country’s second largest retailer, with over 400 stores and hundreds of thousands of workers, directly and indirectly employed. As Otis dug deeper into the issue, she grew increasingly interested in the interplay between Walmart and the independent sales agents. The issue became her current research project. Otis is writing a full-length book examining how Chinese workers are interacting with one of the world’s largest companies. “I started this research project because I am interested in understanding the labor conditions at one of the world’s largest employers and wanted to learn more about how these workers have challenged, accommodated, or reshaped Walmart’s labor practices in China,” says Otis, who studies work economy and organizations, among other subjects. This is a problem for the sales agents, Otis explains, as they are primarily disempowered workers from the countryside who desperately rely on the meager income they earn through their sales. Working long hours for low pay is a reality for many Chinese workers, regardless of whether they work in manufacturing or service industries such as restaurants, hotels, and retail, the Atlantic reported, in a 2013 story. In 1994, China instituted a national minimum wage designed to cover workers’ basic living expenses; over the past two decades, however, minimum wages have been dramatically outpaced by inflation. In cities like Kunming, minimum wages can be exceptionally meager, the magazine reported. Although the independent vendors want higher wages and better working conditions, they don’t know how to negotiate or advocate for themselves. Walmart managers capitalize on this, increasingly turning to these migrant workers and women to fulfill store duties without offering them fair compensation or benefits. The problem is exacerbated by the fact that workers do not have the legal right to organize a free trade union in China. “Most of these workers are not even aware that unions exist,” she says. In some corners of the country, however, workers are organizing. Wildcat strikes and other protests rippled through Walmart’s more than 400 Chinese stores in 2016, catching the attention of global media outlets like Reuters, Financial Times, the Associated Press and the New York Times. Otis plans a follow-up visit to stores in the southeast where workers are starting to protest and push back against unjust conditions. She will integrate her observations from this fieldwork into her book, and plans to share her findings about the factors that have empowered this group of workers to organize and resist. In an attempt to advertise itself as a company that prioritizes workers, Walmart displays an image of an inverted pyramid of its workforce in stores throughout China. The image features a store manager smiling beneath a line of “associates.” Yet missing from the pyramid is the sales force, which is formally employed by the firm's vendors. 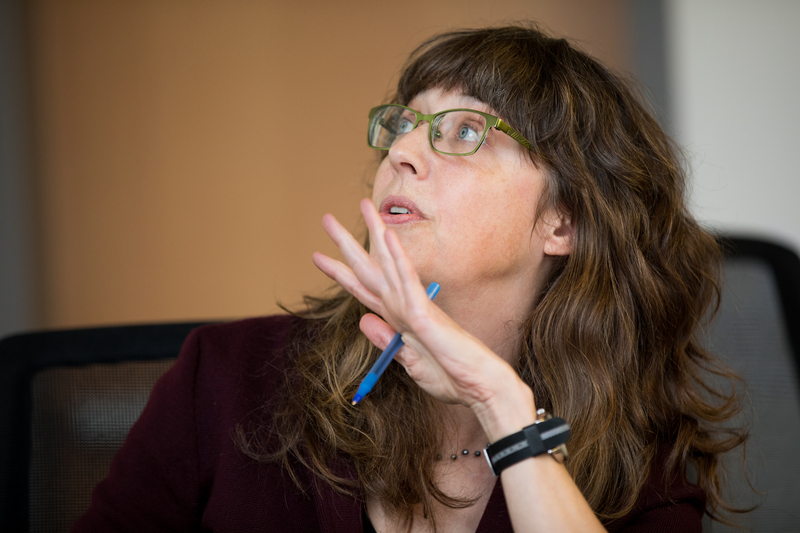 Otis hopes her research helps people better understand the relationship between Walmart and workers, and consider the company's influence across the globe.